With more content shared across digital and social media channels than ever before, companies like Mondelez, Marriott, and GE are re-thinking how great stories come to life. From offering a free place to stay in exchange for original content, to building dedicated content studios and partnering with creators, these companies are showcasing the value of re-evaluating how content is produced while aligning with brand goals and consumer interests. “You have to break culture to make culture,” said Mondelez’s Marketing Director Farrah Bezner in an interview with AdAge. 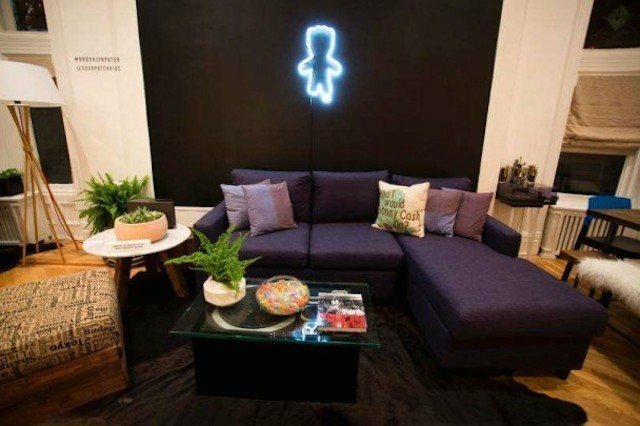 This is precisely what Mondelez is doing for its brand Sour Patch Kids by opening the Brooklyn Patch, a home in Brooklyn offering free short-term stays to traveling musicians. Just like there’s no such thing as a free lunch, artists at the Brooklyn Patch are also asked for a little something in return – original content for the company’s social media channels. In order to foster creativity and content creation, the space has been decorated accordingly and the company will also supply camera crews, sound engineers, etc. for longer stays. The end goal of the partnership is for the company to shine a spotlight on the stories and creativity of up-and-coming artists, while deepening its relationship with the teenage audience who follows them. Check out Tumblr to see some examples of what musicians are sharing on their personal pages thus far. Through the Global Content Studio, Marriott has launched a dedicated Snapchat presence and has future plans for a series of short films on YouTube and a scripted, digital drama in the works. The studio and dedicated team is also meant to help take existing content marketing and partnership efforts to the next level. Visit the company’s YouTube page to see examples of their approach to digital storytelling. For a company that’s continuously breaking the mold with social media storytelling, look no further than GE. In a compelling TechRepublic interview with GE’s Head of Global Digital Programming, Katrina Craigwell, she notes that the company seeks out specialized content producers by platform. For example, if a photographer has a unique aesthetic on Instagram, it could help make machinery more visually interesting and appealing to GE’s audience. This approach and strategy extends across all of GE’s social media channels. From SoundCloud partnerships with artists to mesh machine sounds with an electronica beat, to YouTube videos with the Slow Mo Guys, who specialize in stunning slow motion videos, each creator is selected based on their talents. For the platform specific specialists, these partnerships also offer GE an opportunity to tap into a new audience outside of the brand’s owned social media channels.